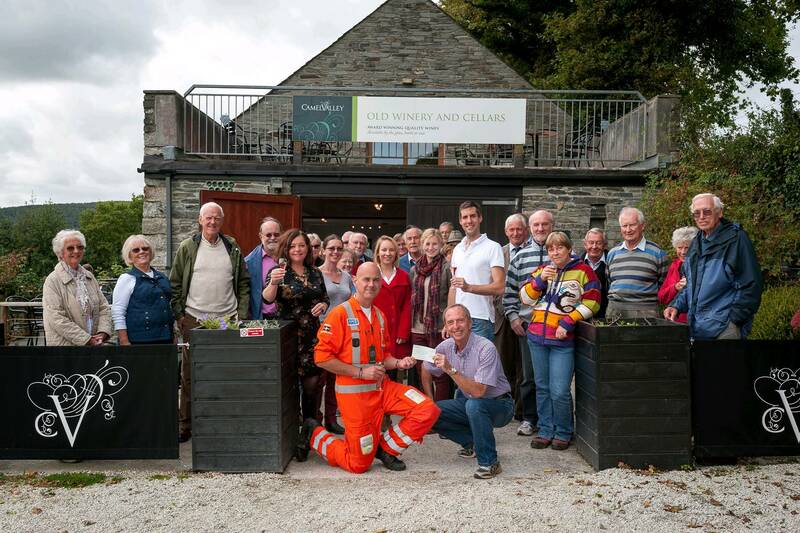 Visitors to award-winning vineyard Camel Valley have helped fund 15 flying hours for Cornwall Air Ambulance. By asking visitors to upgrade their wine tour to enjoy a glass of Camel Valley’s famous sparkling wine, the vineyard raises £1 per person, all of which goes towards funding the air ambulance. The latest donation of £2,000 brings Camel Valley’s fundraising total over the years to around £9,000. It costs around £600 per hour in fuel costs to keep the air ambulance helicopter flying, which is funded completely by charitable donations from the people of Cornwall and visitors to the county. Camel Valley’s owners Bob Lindo and family were inspired to start fundraising for Cornwall Air Ambulance Trust, the charity that funds the emergency service, after daughter Esther was airlifted by the air ambulance back in March 1996. Esther, then aged 15, was riding at Pencarrow Woods near Bodmin when her horse was startled by a pheasant and thrown off. The accident left her unconscious, and her friend was forced to make the difficult decision to leave her alone at the scene of the accident while she went to raise the alarm. After hearing what had happened, Mr Lindo quickly arrived with his son Sam, then aged 20, and the two worked with Cornwall Air Ambulance paramedics to carry Esther on a stretcher from the woods to the helicopter. Esther was taken to Treliske hospital, unconscious and suffering a broken vertebra in her spine. Following several months off school, and at least a year’s rehabilitation, Esther, now aged 31 eventually made a slow but full recovery and now is a deputy head-teacher at a primary school in Plymouth. Mr Lindo said: “The fact that Esther is still walking about and progressing in her career is thanks to Cornwall Air Ambulance. “We fundraise for a number of charities at Camel Valley, but Cornwall Air Ambulance Trust is one that’s particularly close to our hearts. Foreground: Cornwall Air Ambulance Trust chief executive Paula Martin with paramedic Mick McLachlin, who accepts a cheque for more than £2,000 from Bob Lindo of Camel Valley, along with visitors enjoying a tour of the vineyard. “At each of our vineyard tours, guests are invited to upgrade and try our sparkling wine from the still wine they are offered as standard. All of the money from these upgrades go to the air ambulance, and visitors are always interested to know why we are fundraising for this charity. Susie Smith from Cornwall Air Ambulance Trust said: “We are delighted that Camel Valley have supported us for so many years and are overwhelmed with how much they have managed to raise through their wine tours – it just goes to show that the pennies really do add up. Cornwall Air Ambulance attends up to six missions each day during the summer months, and to date has flown more than 23,000 missions since being set up 25 years ago. It costs more than £2 million each year to fund the emergency service, which relies on donations from the people of Cornwall. Pingback: Press Release – The Best of English wine on show at Best of Britannia this weekend « Magics Wine Guide and Reviews for Newbies. 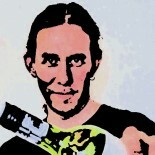 This entry was posted on October 2, 2012 by The Oenophiliac in News. and tagged Air ambulance, Bob Lindo, Bodmin, Camel Valley Vineyard, Cornwall, Cornwall Air Ambulance, Emergency service, english wine producers, Wine Charity.